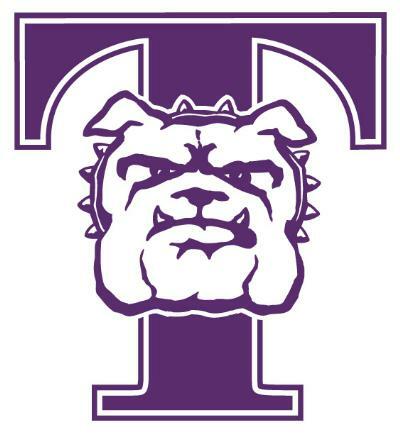 As announced by President Troy D. Paino at commencement ceremonies May 7, Truman State University has surpassed its $30 million goal in its “Bright Minds Bright Futures” fundraising campaign. The five-year effort, Truman’s first-ever comprehensive campaign, began July 1, 2006, and featured several major initiatives, including student scholarships, student enrichment and academic programs, faculty support, athletics and mission enhancement. As of May 31, 2011, a total of $30,413,412 has been generated in cash, multi-year pledges and new planned gift commitments toward the campaign. Nearly $13.9 million has been raised for student scholarships, a centerpiece of the campaign. In addition, $8.25 million has been raised for student enrichment and academic programs, impacting areas such as study abroad, library enhancements, lectureships, student undergraduate research, programs to benefit the schools and departments, cultural programs and internships. The campaign concludes June 30, 2011, and efforts to close additional gifts are continuing. Final campaign figures and other points of distinction will be released this summer. “I am deeply grateful to the thousands of alumni and friends who have responded so generously to our call for support,” President Paino said. “Over 18,000 gifts have been received, including more than 12,000 from alumni, to the campaign over the past five years. Chuck Foudree, retired vice president and chief financial officer for Harmon Industries in Kansas City, served as campaign chair and led a corps of more than 100 volunteers. “The devotion and impact of our volunteers on the Bright Minds Bright Futures campaign is inestimable,” President Paino said. Janet Gooch, professor and chair of Communication Disorders, has been appointed Dean of the School of Health Sciences and Education. Gooch follows Sam Minner who earlier this year was named the provost and vice president for academic affairs at Radford University in Virginia. Her appointment was announced May 12 by Richard Coughlin, interim provost and vice president for academic affairs. A member of the Truman faculty since 1995, Gooch has a bachelor’s, master’s and Ph.D. in speech pathology from the University of Kansas, Kent State University and Case Western Reserve University respectively. She has served as the chair of Communication Disorders since 2004, and was the interim director of the Ronald E. McNair Program for 2008-2009. In 2008, Gooch was the recipient of a Walker and Doris Allen Fellowship and was also named the Outstanding Undergraduate Research Mentor. In 2003 she received the William O’Donnell Lee Advising Award. Gooch will begin her position as dean July 1. Truman will receive a bequest in excess of $500,000 from the estate of the late Marjorie Alice White of Monroe City, Mo. The substantial gift will create the Samuel A. Jeffries and Alice White Scholarship fund at Truman and become one of the largest scholarship programs established through the University’s Foundation. Recipients of the scholarship will demonstrate and maintain a 3.0 grade point average and produce evidence of good citizenship, extra-curricular activity participation and leadership. Scholarship awards will be equivalent to one-half of the cost of tuition, room and board for Missouri students at Truman, or approximately $7,000. The awards will be renewable for a period of four years, provided that academic and citizenship standards are maintained. When fully endowed, the fund will support scholarships for at least three Missouri students attending Truman annually. Born in Lewis County, Mo., Alice White was educated in country schools and graduated from Durham High School. 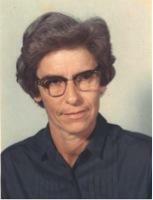 She attended the University from 1939 to 1941 and then began teaching in one-room rural schools in northeast Missouri. Following a teaching stint in Zephyrhills, Fla., Alice returned to Missouri and completed her teaching career at Louisiana, Mo. She moved to Monroe City in retirement and enjoyed hunting, fishing and collecting antiques. She was remembered as a strict but fair teacher who earned the respect of her students and greatly influenced the lives of many schoolchildren. Her scholarship is also named for Samuel Jeffries, the son of Samuel and Adele Jeffries, lifelong friends of White, who was tragically killed in a bicycle accident many years ago. The gift is part of Truman State University’s $30 million “Bright Minds Bright Futures” campaign. Nursing Department students in the class of 2011 received their nursing pin at a pre-commencement ceremony May 6 on campus. The pinning ceremony recognizes the graduating seniors’ successful completion of a rigorous academic and professional program. First row (left to right): Pam Gardner, associate professor of nursing, Theresa Hasting, Emily Shaw, Ashmita Karki, Stephanie Bedford, Sarah Koch, Kathryn Leakey, Katie Hamilton, Shradha Pandey, Jessica Reynolds, Duyen Van and Pam Melvin, assistant professor of nursing. Second row: Danielle Dilday, Megan Mielke, Danielle Brewster, Jamie Boschert, Katie Hansen, Kathleen Hagenhoff, Meghan McKendry, Elizabeth Miller, Kassandra Henning, Rebecca Beitling and Laura Groebl. Third row: Devon Mills, Holly Cooper, Allison Dunard, Alex Sievert, Mary Allemang, Alyssa Scott, Jessamyn Phillips, Lindsey Bramon, Karrie Evens and Jacqueline Ross. Fourth row: Clinton Narayan, Chelsy Shaul, Ashley Schroth, Kimberly Dodd, Julie Dusheke, Jennifer Moberly, Rebekah Weicken, Grace Lowe and Amber Wates. Not pictured: Rachel Cope. Truman recognized 39 students as valedictorians during spring commencement ceremonies May 7. First row (left to right): Melinda Gross, Hannah Dumey, Stephanie Hulsey, Laura Greaver, Dana Bruxvoort, Danielle Brewster, Peter Ruberton, Holly Fling and Laura Groebl. Second row: Jaycie Vos, Madison March, Krystal Foster, Ann Bruno, Kayla Burch, Kelly Durst, Trisha Myers, Sean Geary and Leah Reimnitz. Third row: Amy Yeagle, Jennifer Riebold, Tanya Sylvester, Angela Scheperle, Amanda Brehm, Amanda Nehrkorn, Kristin Siegler, McKayla Beattie and Sara Clark. Fourth row: Ryan Harker, Katherine Judd, Joseph Rogers, John Kimbrough, Igor Korenfeld, Jacqueline Boos, Kimberly Dodd, Desiree Raygor and Lauren Greenspan. 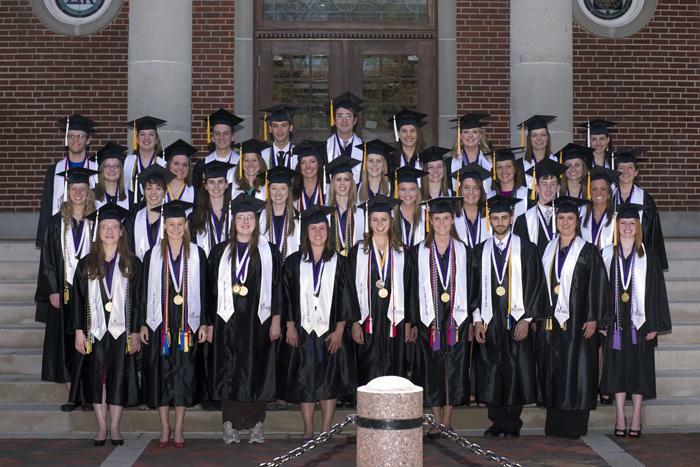 Truman has been included on the 2010 President’s Higher Education Community Service Honor Roll. Launched in 2006, the Honor Roll recognizes colleges and universities nationwide that support innovative and effective community service and service-learning progress. This is the third consecutive year Truman has applied for, and been accepted to, the Honor Roll. Baillie Cloyd, program advisor in the Center for Student Involvement, and Liz Kroeger, the SERVE Center student coordinator, prepared Truman’s application using information gathered from service-learning course projects, Service-Learning Advantage student organization initiatives and Truman volunteer information. The service-learning projects cited for the Honor Roll included: the Big Event, to emphasize student volunteerism on campus through 1,600 students and 200 service sites; ECON 498: Microfinance and Millennium Development Goals, which conducted a feasibility study on starting a micro-credit program in Kirksville, to emphasize academic service-learning; and the Bicycle Composting Program “Rot Riders,” to highlight an entirely student-initiated and led service-learning project. 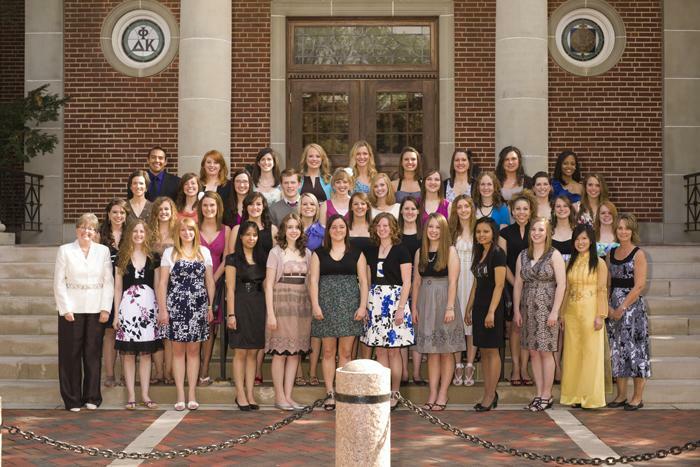 Truman reported more than 73,000 hours of academic and co-curricular community service and service-learning during 2009-2010. The Honor Roll is a program of the Corporation for National and Community Service. For more information, visit www.nationalservice.gov. To view the complete honor roll, go to www.learnandserve.gov/pdf/2011_hr_awardees.pdf. Students of all ages are being welcomed to the Truman campus again this June as part of the second annual “Taste of Truman” – an event designed to give participants a little taste of the high caliber classes offered by the University. The weekend features 12 short classes from some of Truman’s most respected and honored faculty. In addition, participants can enjoy organized activities at University facilities, a themed banquet and lots of informal and organized social time, with complimentary meals throughout. Originally envisioned as a “mini college” experience for returning alumni, organizers of the event have opened Taste of Truman to anyone in the community. Participants can elect two, three-hour extended courses and four, 90-minute short courses that interest them from a list of subjects. Topics range from the basics of digital photography and the rhetoric of food to the music of the “Silk Road” and 13th century Venetian art. For students with more eclectic tastes, the weekend also features a course on hypnosis and a class that addresses navigation by the stars. “There’s a little in here for everyone who wants to learn something new… and maybe a little off-beat,” Minch said. For the benefit of K-12 teachers seeking continuing education credit, a special themed “track” has been created around topics related to Marco Polo’s legendary journey from Venice to China. For only $25, teachers can earn one graduate credit and receive supplemental training about creating interdisciplinary linkages between a wide range of topics. Participants will also be treated to a range of fun activities, including: “Stars and S’mores,” a bonfire and night of stargazing at the University Observatory; a guided tour of campus history and architecture; a hands-on experience in Pickler Memorial Library’s Special Collections; and a guided visit to the Ruth Warner Towne Museum and Visitor’s Center, among other opportunities. Saturday evening will be capped-off with an outdoor banquet – “Dinner and a Yurt” – casting the theme of Marco Polo’s travels in food with dishes representing the regions of Europe, the Middle East and Asia. Taste of Truman will take place June 24-26. Participation costs $150 and is inclusive of all classes and meals. Additional options, including graduate credit and guest meal tickets are also available. Out-of-town guests are welcome and may elect to stay on campus or in one of several local hotels offering a special rate for participants. For more information on the program, or to register, visit the Taste of Truman website at institute.truman.edu/taste.asp. The Adair County M*A*S*H Camp will take place July 12-13 from 8 a.m.-4 p.m. on the campuses of Truman State University and Northeast Regional Medical Center. The camp is intended for middle school students who have an interest in exploring health care careers. A limited number of scholarships are available to families for whom the registration fee is a considerable hardship. For more information, or to obtain a registration packet, call NEMO AHEC at 877.303.2938 or 665.6404. Truman faculty, staff, and students are invited to attend forums with the two candidates. Feedback forms are available here. Feedback forms also will be provided at each forum. Feedback may be submitted at the forum, to the Provost’s Office, or online prior to 5 p.m. June 15. Strategic Name Development is offering a $2,500 scholarship opportunity for undergraduate students majoring in linguistics, English, marketing or mass communications with at least a 3.0 GPA. Applications are available at namedevelopment.com/scholarship. Application deadline is Aug. 15. The next issue of the Truman Today will be available June 20. Tom Capuano, professor of foreign language, received word that his 1995 paleographic edition of Gabriel Alonso de Herrera’s Obra de agricultura (1513) was chosen by the Royal Spanish Academy as one of the base texts for the corpus of its Nuevo diccionario histórico de la lengua española project. The initial transcription from which this edition was created was carried out by undergraduate researchers Amy S. Carder (’94), J. Scott England (’95), and Lisa A.Torres (’93). Laura Hill, an accounting and business administration major, was named the “LEAP Student of the Month” for April 2011. LEAP, which stands for Lead and Enhance the Accounting Profession, was created by the Missouri Society of CPAs in 2001 to raise awareness, build understanding and change perceptions about the CPA profession. Hill will enter Truman’s Master of Accountancy program in the fall and serve as a graduate teaching research assistant. Her professors nominated her for this award. Betty McLane-Iles, professor of French, was recently appointed to the Kirksville Planning and Zoning Commission. McLane-Iles appointment was approved at the Council’s May 2 meeting. Her term will last until June 2013. Calli Price, a justice systems student, recently had her review of the book “Cybercrime: An Introduction to an Emerging Phenomenon” published in the International Journal of Cyber Criminology (vol. 4; iss. 1). The book outlines the growing threat of cybercrime, electronic fraud and online deviancy.